Mr. Ghassan Alusi completed high school in California, USA in 1982. He studied Medicine at the University of Leicester Medical school, where he graduated with an MBChB in 1988 and then a full registration with the GMC in 1989. He developed in interest in General Surgery and completed a Fellowship of the Royal College of Surgeons, Edinburgh in 1992. He went on to specialise in Otolaryngology and Head and Neck Surgery and obtained a fellowship of the Royal College of Surgeons of England in 1994 and later was awarded ORL-HNS by the intercollegiate Board in 1998. His research interest was in Computer Assisted Surgery for the Skull base and was awarded a PhD in 2000. 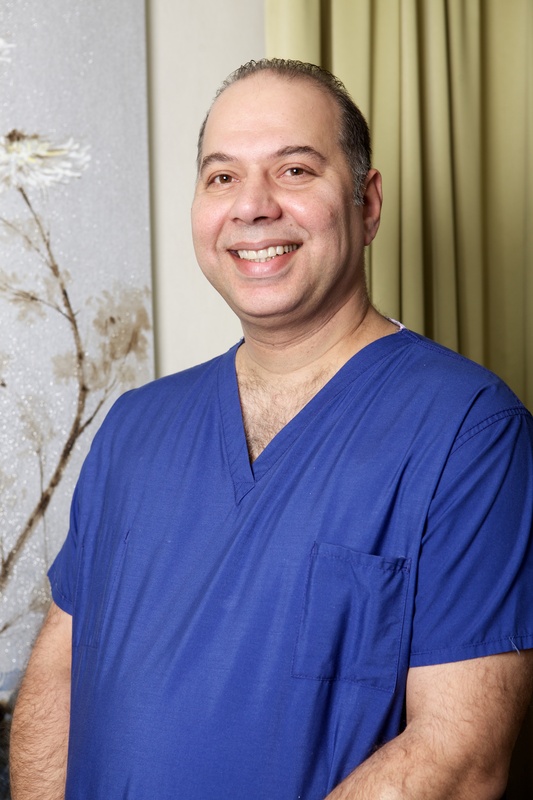 Mr Alusi is a Consultant Surgeon in Otolaryngology and Head and Neck Surgery at Barts and the London NHS Trust since September 2000. He is also Honorary Senior Clinical Lecturer in the Institute of Cancer since September 2004. In addition, he is Honorary Consultant Surgeon in the Royal National Hospital for Neurology and Neurosurgery, University College Hospital. He has extensive teaching experience and was appointed Clinical Tutor in ORL by the Royal College of Surgeons of England from 2006-2010. Currently he is a Honorary Senior Clinical Lecturer at the Barts Cancer Institute where he is actively engaged in research and is a supervisor for MD and PhD students. Mr Alusi has been awarded a variety of grants and funding in order to pursue his interest in areas as Head and Neck Cancer, computer assisted and image guided surgery and health telemedicine. He has been awarded the Scotia Travelling fellowship in 1997, the ENT news BACO award in 1999 and The Davies Medal for significant contribution in the digital field of imaging science in 2002. Mr Alusi is fluent in English and Arabic. He is an internationally respected ENT surgeon seeing patients from all around the world.